Referee Mario Yamasaki is sticking to his guns on the UFC Fight Night 112 main event stoppage. 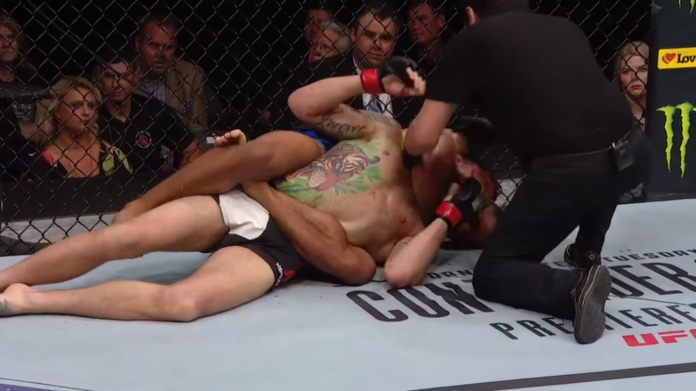 Last month, Kevin Lee and Michael Chiesa did battle inside the Chesapeake Energy Arena in Oklahoma City, Oklahoma. Lee earned a first-round submission, but controversy ensued. There was no tap and Chiesa hadn’t gone out. Ultimate Fighting Championship (UFC) President Dana White wasn’t thrilled with Yamasaki’s stoppage and blasted the veteran referee. Yamasaki didn’t entertain a spat.